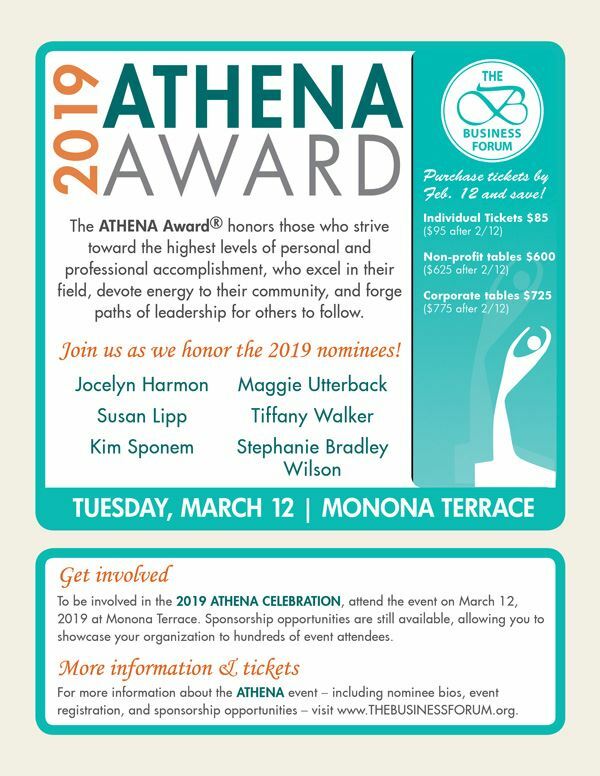 The ATHENA Award Celebration honors both women and men who have achieved excellence in their profession or life's work, devoted time and effort in their communities to improve the quality of life for others, and actively helped women realize their full leadership potential. The ATHENA Award Celebration is The Business Forum's largest fundraising event. Proceeds benefit our scholarship giving. The continued success of both the event and our scholarship giving is due to considerable community support and sponsorships. We use the nomination and selection criteria set by ATHENA International, which administers the ATHENA Award® Program worldwide. Past ATHENA nominees have included business people, government employees, police and firefighters, health care professionals and members of the academic community.